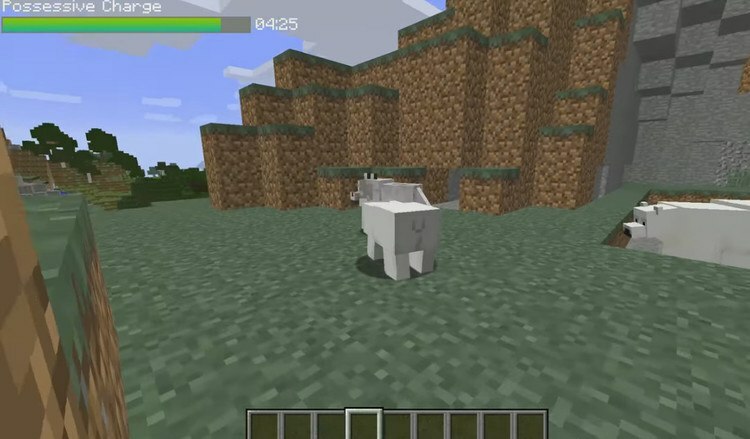 Possessed Mod 1.12.2/1.11.2 will help the players become several mobs and control them in Minecraft. Because its requirement is one Nether Star, so the players should be careful when using and avoid losing the hat (or dying while using and then you cannot find it). You can see the left screen is the green bar named Possessive Charge and sometimes (maximum 5 minutes). This is the time which you can possess into the mob (reducing when using). 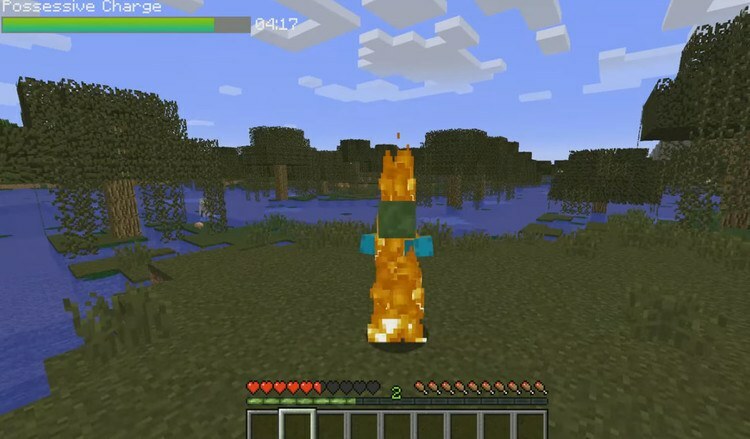 The time of the hat can reborn if not using (10 minutes) or destroying other mobs (around 20 seconds). To possess in a random mob, press C, when getting bored and wanting “get out”, press C one more time. Note: Although becoming a mob, you will be realized by some other mobs to discover and attack. If possessing a zombie or skeleton, you will be burned under the sun, parallel to that, if you possess into a chicken, you can land from dropping from high to low, etc. Put jar file of Possessed into mods folder and then run Minecraft. Done!